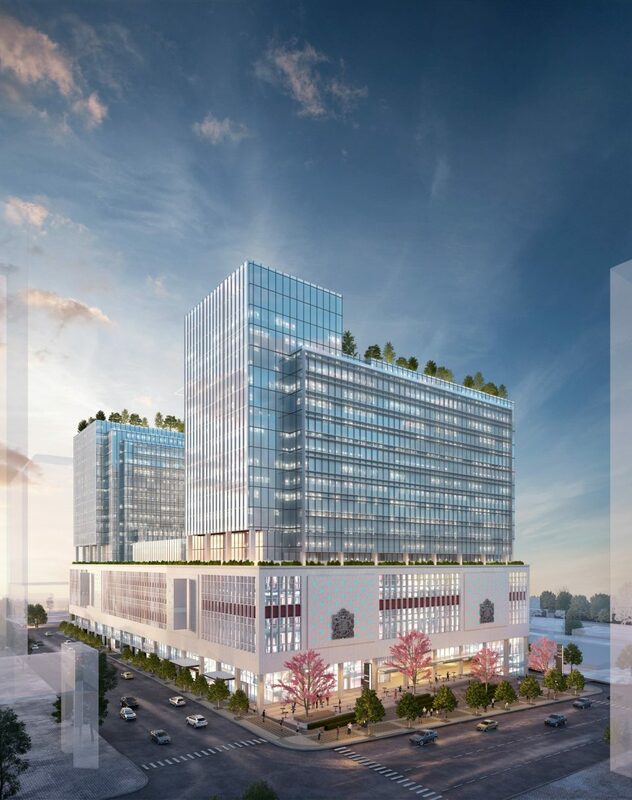 Amazon is set to massively expand its presence in downtown Vancouver, taking more than 400,000 square feet of office space in QuadReal’s redevelopment of the old post office, now known as The Post. Amazon says more than 3,000 new jobs will located at its future Development Centre at The Post, opening in 2022. The centre will focus on cloud computing, machine learning and e-commerce. Prime Minister Justin Trudeau said the announcement is a testament to Canada’s highly-skilled, diverse workforce, and potential as an innovation and tech hub. Amazon already employs over 1,000 researchers and engineers in Vancouver, primarily working at Telus Garden two blocks away. 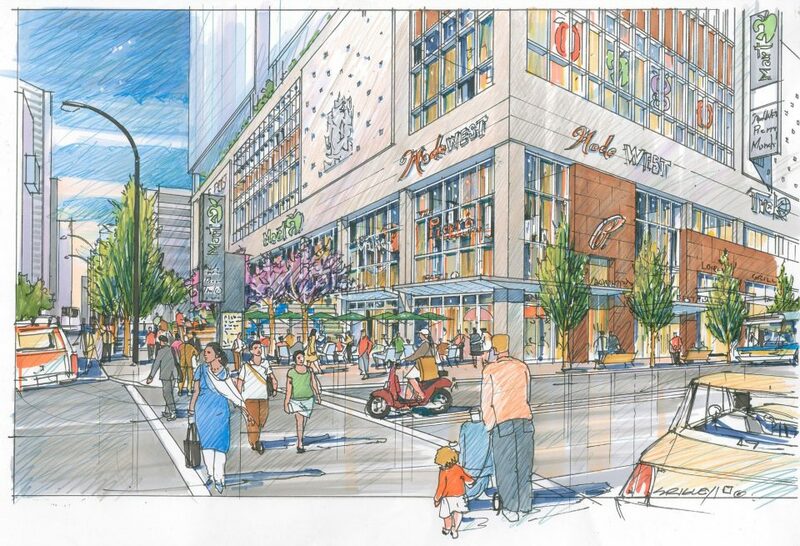 Last year, Amazon announced it plans to expand into another downtown site on Dunsmuir Street across from The Post, which will open in 2020. The Post will feature 1.13 million square feet of office space, with the largest column-free floor plans in downtown Vancouver. Seven thousand people will work at The Post once complete, and the project is expected to create between 3,500 to 4,000 jobs during construction. 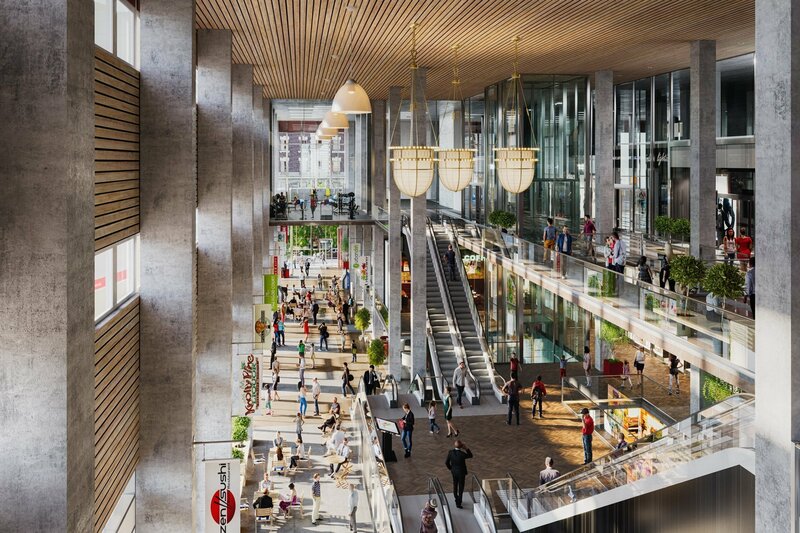 The Post will also include 200,000 square feet of retail space including a food hall, fresh grocer (likely to be Whole Foods Market as it’s owned by Amazon), gym, pharmacy, home décor, large format fashion and more. 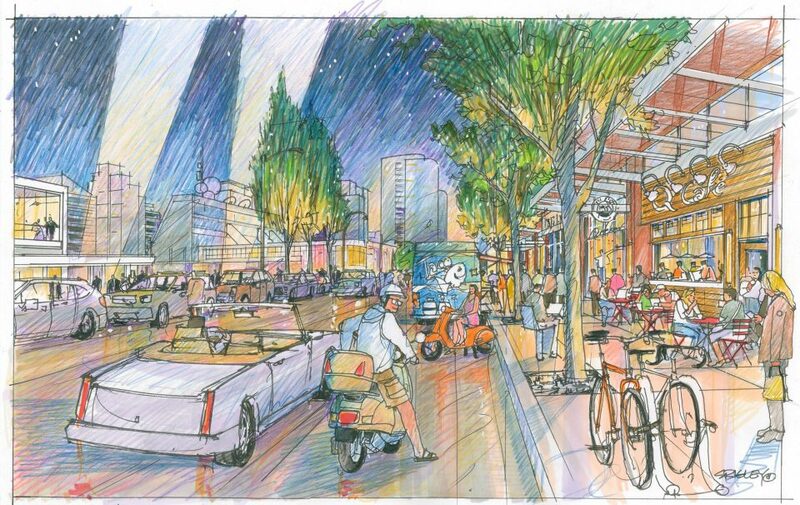 The redevelopment will dramatically change the area around The Post, which is also the future home of the Vancouver Art Gallery, slated to be built on a city-owned parking lot at West Georgia and Cambie Street. 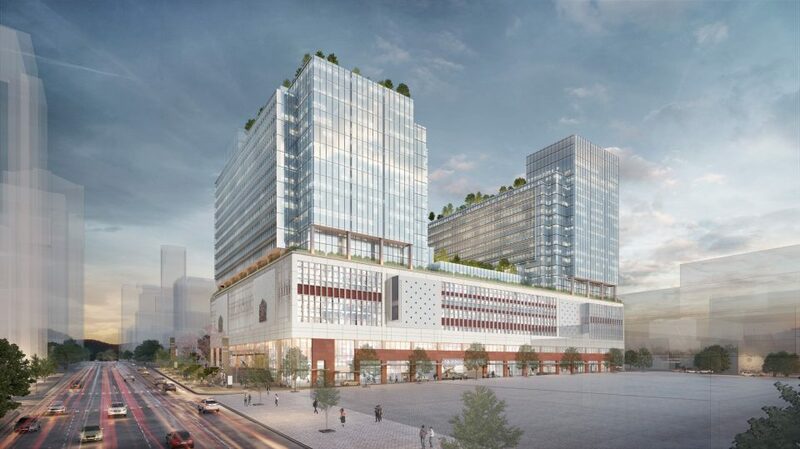 “The Post re-establishes the building as a signature landmark for a new generation, as it revitalizes the Crosstown neighbourhood, a vibrant destination for culture, sports, entertainment and business that is quickly becoming the dynamic heart of the city,” said Remco Daal, president of Canadian real estate at QuadReal. The office buildings will be designed to LEED Gold Certification, and many energy-saving measures will be employed during operation, including waste heat recovery, passive solar shading, light shelves and a building envelope that conserves energy. The building will also have car share and preferred parking for electric cars. There will be end-of-trip facilities for cyclists including showers and lockers, as well as an automated cartridge bicycle storage system. Amenities for office tenants will include a basketball court and two tennis courts, as well as dog-walking areas on the exterior of the building. A previous redevelopment application for the former post office had been stalled for several years. 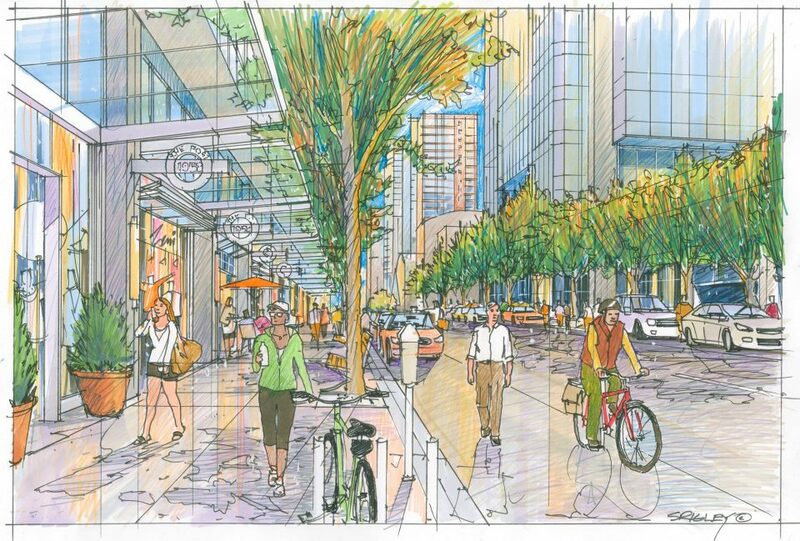 It proposed building two residential and one commercial tower, and using most of the existing building for parking. Construction on The Post is set to begin in January 2019.